Sarah Sherman Samuel chose to work with us again when she redesigned her A-Frame House in Palm Springs for the new owners, Caroline Lee. Both of them are wonderful creatives with great tastes for color. 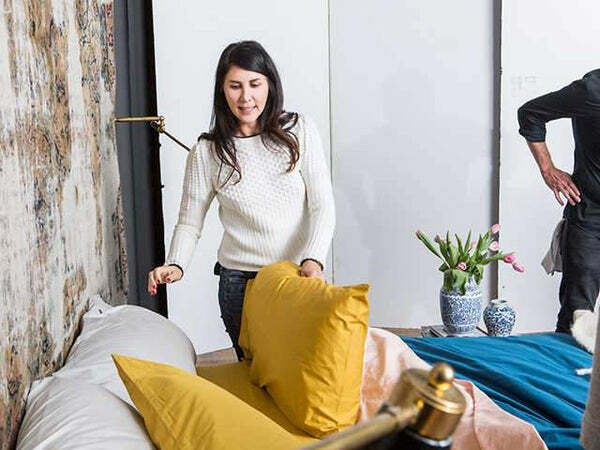 We’ve been waiting to see how would Flaneur change the bedroom in their hands! Sarah chose a rustic, earthy but rich palette for Caroline. 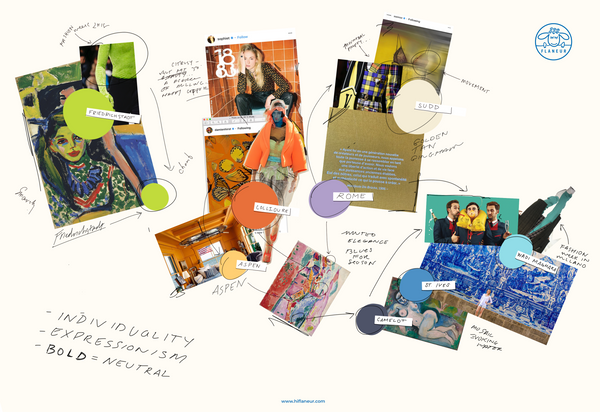 What we found particularly interesting is how colors could appreciate their own individual personalities. Sarah is known for her California mid-century and Bohemian combo style. Wood, bamboo, willow, etc. are common seen objects selected to be statement pieces at her home. 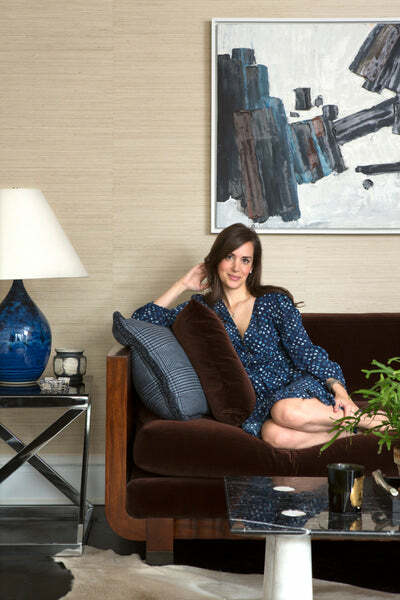 Whereas Caroline, a photographer, designer, and decorator, embraces rich palettes both at work and in her personal lives, embraces color schemes to build the feelings she pursues, the vibrancy and almost a sense of rhythm throughout the entire house. Well, Sarah did say that she liked the new bedroom even better!